After the crushing rejection of Theresa May’s Brexit plan – which led to the biggest government defeat the House of Commons has ever seen – we seem no clearer on what will happen with the UK’s withdrawal from the EU, what type of deal we’ll leave with or whether we’ll even leave at all. All options now seem back on the table – from those advocating a no deal departure to those calling for a second referendum (or People’s Vote). Labour’s plans for a snap general election seem to have been thwarted after the government won a vote of confidence, with Jeremy Corbyn now under pressure from Labour MPs and members to back a second vote. Theresa May, meanwhile, is still trying to convince all sides of her party – and opposition ones now, too – to get behind her deal. One option gaining traction is the extension of Article 50, which would offer the government more time to arrange a deal that has cross-party (and public) backing. It might feel as if Brexit has been dominating our lives for a very long time now, but this is set to continue to be the case in 2019 and beyond. What, though, does the current impasse (and the situation as a whole) mean for the property market? Britain’s departure from the European Union (if and when that happens) is, as you would expect, likely to discourage EU tenants from moving to the UK. In London, in particular, this could have a significant impact on demand, given that EU renters make up a sizeable proportion of the capital’s rental market. All over the country, EU nationals are more likely to rent than buy, so a reduction in their numbers (something that has already been seen since the referendum result was announced in June 2016) could dent demand for homes in the private rented sector. Worries also swirl about the possible economic damage that Brexit could cause, particularly under a no deal scenario where the UK would crash out of Europe and operate under World Trade Organisation (WTO) regulations. If the country was to enter another financial crisis, or some form of recession, the knock-on effect on employment levels (which are currently at record highs) could be severe. This, in turn, could mean more people struggling to pay their rent on time and a rise in rent arrears. On the other hand, though, there are those who point to the UK economy’s relative resilience since 2016 despite all the uncertainty that has been doing the rounds. While the economy and the value of sterling have no doubt been affected, the impact hasn’t been anywhere near as catastrophic as some predicted. Alternatively, of course, demand for rental homes could be upped if Brexit uncertainty continues to hamper the sales market. As a recent report by the Royal Institution of Chartered Surveyors (RICS) stated, a large portion of sellers and buyers are sitting tight until the Brexit picture is clearer. In an unstable market, it stands to reason that people will rent rather than buy given the lower risks at play. This could be to the benefit of the nation’s private landlords, who already provide the second largest number of homes in the UK. According to the most recent English Housing Survey, the private rented sector is the second largest tenure in the UK, with some 20% of all households renting privately. Private rented accommodation is also now the biggest form of tenure in London. In addition, a rising number of middle-aged, family and elderly renters are swelling the tenant population, while young professionals continue to rent in large numbers – sometimes out of necessity, but often out of choice because of the flexibility it provides. Stalling house price growth, the expected interest rate rises in 2019 (which could be more substantial in the event of a ‘disorderly’ Brexit) and the current political instability may all put people off buying for the time being, opting for the relative stability of renting instead. Landlords should also be heartened by steady rental growth, which makes the prospect of achieving strong rental yields a realistic one. Challenges are definitely there – not just Brexit, but the incoming ban on tenant fees (now confirmed for June 1 2019) and ongoing regulation and legislation to professionalise the market – but so are opportunities if landlords invest in the right areas and work with an experienced, knowledgeable letting agent. For the moment, everything is still up in the air and attempting to make any concrete predictions is a fool’s game. There is much conjecture and speculation flying about what could or might happen, but we won’t know for sure until the final position is clearer. While ongoing uncertainty is not something that will be welcomed by landlords, tenants, letting agents and property investors across the country, there are a few things we can be more certain about. Coventry and Northampton to Newcastle – that will continue to entice landlords and investors. Furthermore, it’s important to remember that property still remains one of the most lucrative and reliable asset classes – much more so than bonds, stocks or shares in recent years – which will continue to make it an appealing market in an uncertain world. 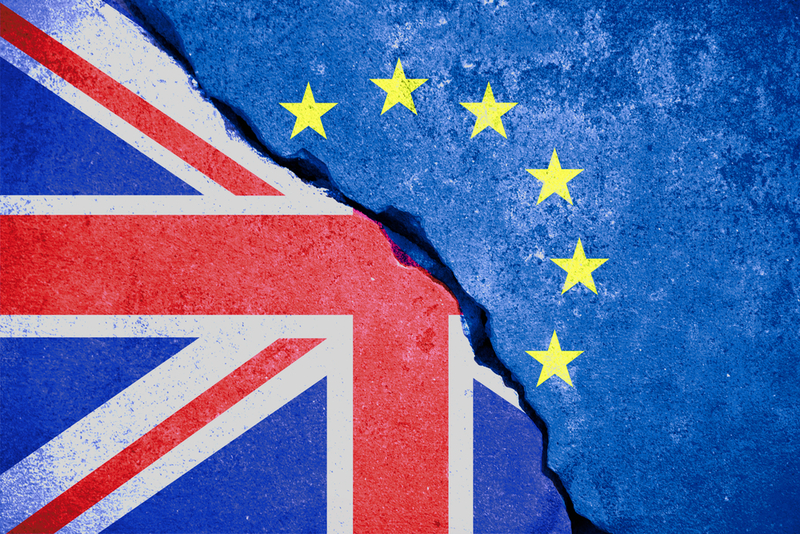 Brexit update – what’s the latest for the lettings market?